The results of this year’s midterm elections are going to be incredibly important, not just because they could help save us from the unchecked reign of Donald Trump’s presidency, but also because they could shape our political landscape for several years to come. A plethora of offices in different states will be on the ballot in November. There is the whole House of Representatives, a third of the Senate, 36 governorships, and a good smattering of state legislature seats up for grabs. With so many races on the horizon, Stacey Abrams from Georgia stands out amongst the pack. Here’s a quick run down of why she matters and has the powers that be shaking in their boots. Unlike some high profile people in politics Abrams comes from humble beginnings and was raised by working-class parents in Gulfport, Mississippi. Her family later moved to Atlanta so her parents could study to become Methodist ministers. Through blood, sweat and tears Abrams earned a law degree at Yale and a master’s degree in public affairs from the University of Texas at Austin before ultimately returning to Atlanta. She practiced tax law before becoming deputy city attorney in 2002, and was first elected to the state House of Representatives in 2007, becoming the first woman party leader in state history in 2011. She said her desire to provide the state’s families with more pathways to prosperity is what motivated her to run for governor. 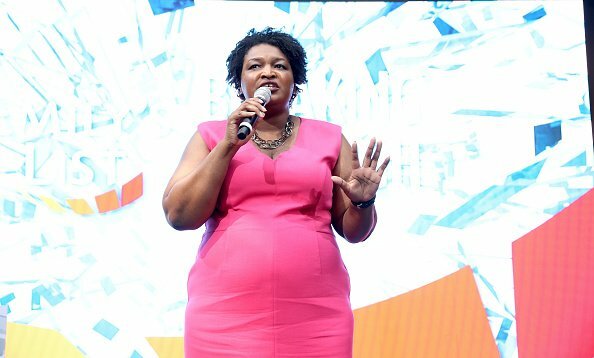 Abrams made history in Georgia last month when she became the first African-American woman to win a major party’s nomination for governor. And is already being seen as one of the biggest political phenomenons of 2018. If Abrams wins, she’ll become the first African-American governor in the Deep South since Reconstruction, and the first Black woman to become an American governor ever. “We can actually win elections without having to cater to these right-wing, harshly conservative policies that only serve to harm everyone,” says Abrams. attends EMILY’s List 30th Anniversary Gala at Washington Hilton on March 3, 2015 in Washington, DC. 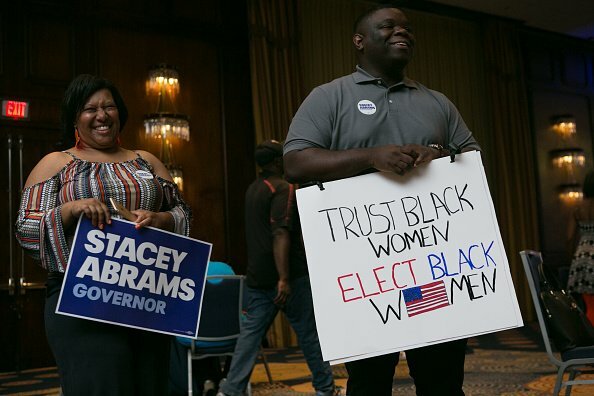 It’s crazy to think that in 2018 no Black woman has ever been governor in this country, and if Abrams could pull off this feat in GEORGIA of all places, that would be even more outstanding. It should come as no surprise that she has Republicans shook (and a bit surprised) by her unexpected popularity. 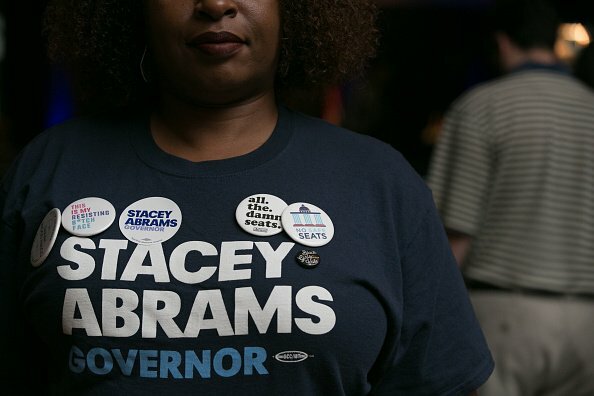 The same way Trump was able to seemingly come out of nowhere and excite a previously ignored group of white citizens who had never voted before, Abrams fans say she is the kind of candidate who will turn out those same types of Black voters. Abrams believes Georgia state Democrats need to focus resources on registering and turning out infrequent voters, including under-tapped rural black voters, immigrants and progressive whites. 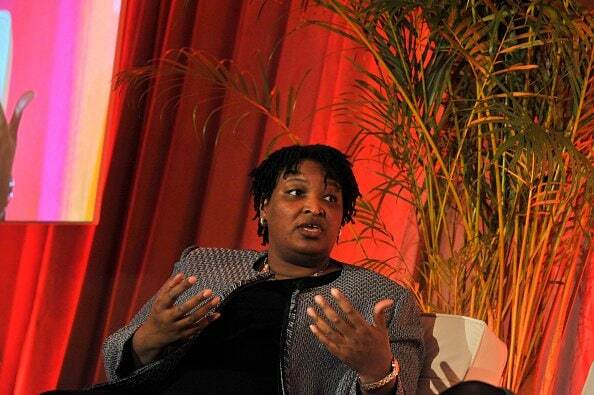 Political candidates often boast about their financial status as a sign of how well equipped they are to lead a community, but Abrams has been a maverick when it comes to the way she discusses her finances. Unlike Trump who has amnesia about his bankruptcies and refuses to share his tax returns, Abrams has come clean about her financial woes and what it’s taught her. Stacey Abrams a leading Democratic candidate in Georgia’s gubernatorial race. If she wins, she would be the first black female governor in U.S. History. In the South where respectability politics and saying “Bless your heart” when speaking to enemies is the norm, Abrams definitely dances to the beat of her own drum. Abrams ability to appeal to a liberal crowd has helped her raise a ton of money from outside Georgia, including high profile donors like Alyssa Milano and Meryl Streep. The possibility of Abrams as governor of Georgia now has browbeaten Democrats drooling with excitement, and has breathed life back into the party in a way that we haven’t seen since Trump’s devastating election in 2016. Far from perfect, and proud of it, she represents the new face of the South where Black women, and Black people as a whole, get to be flawed humans who can be as loud and vainglorious as their white opponents, and still be taken seriously. The post 5 Things you need to know about Stacey Abrams and her historic run for the Georgia governor’s office appeared first on theGrio.